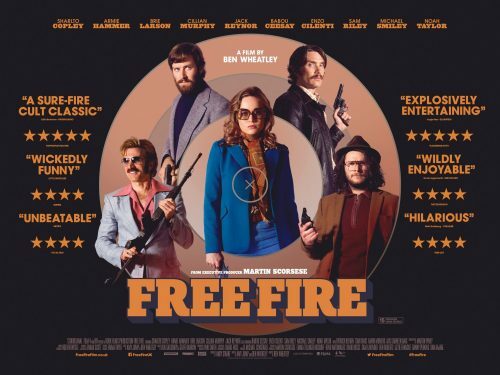 The more I see of Free Fire the more fun it looks. It’s a great mix of 70s fashion & an 80s crime / comedy. It does have all the clichés of the era. The Irish buying weapons from a South African ( today it would be an “Arab terrorist” buying from the Russians) and a stupid, over the top, gunfight. Everything I love in a movie! The trailer does contain a couple of rude words, then again if you have just been shot!